Myrtle Beach has long been recognized as one of the premier golf vacation destinations, but who likes all the planning and research that goes into it? 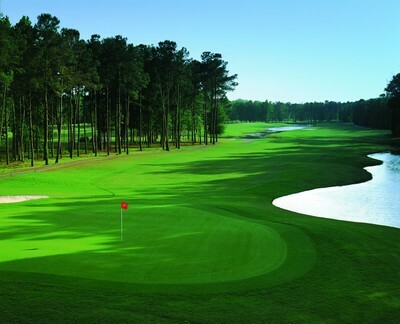 Our trained staff knows the ins and outs of the courses along the Grand Strand. They are there to book tee times for your entire group and with their knowledge can book you the golf trip of a lifetime! No one knows these courses better. They can help you select from over 100 award winning courses- proudly noted year after year in Golf Magazine and Golf Digest. They will be there for you during your stay to book the BEST rates at our courses up to two days before you want to play! Myrtle Beach Golf Authority has the knowledge and expertise to make this Myrtle Beach golf vacation the best you’ve ever had. Let our knowledgeable staff take the worry out of your game and book the best Myrtle Beach golf package for you and your golf group. You'll not only enjoy first class golf but also live entertainment theatres, seafood restaurants, nightlife and the beautiful Atlantic Ocean. Let us provide you with all the Myrtle Beach golf course information and Myrtle Beach golf discounts hints. The Myrtle Beach Golf Authority has inside knowledge on the Myrtle Beach golf properties that will make your Myrtle golf vacation the best experience imaginable. Let us help you put together a memorable Myrtle Beach Golf Vacation. the Myrtle Beach Golf Authority. They are there to book tee times for your entire group and with their knowledge can book you the golf trip of a lifetime! No one knows these courses better.